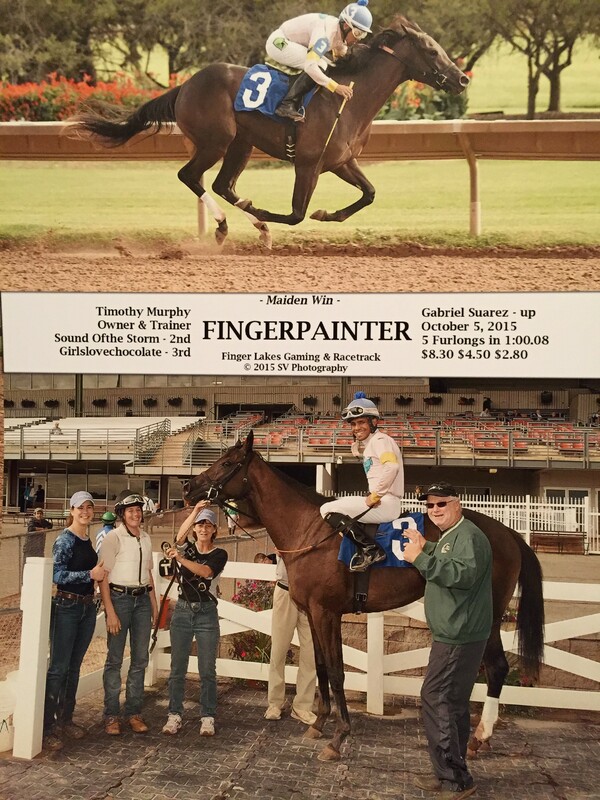 Not many advertising agencies can say they have a horse named after them, but Fingerpaint can. 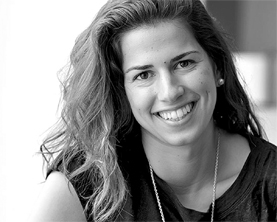 Fingerpaint hired Jamie Zwirn to our People & Culture team in Saratoga Springs right out of college after she completed an internship with us. Her family was so excited she had a job, they named one of the horses from their farm Fingerpainter. 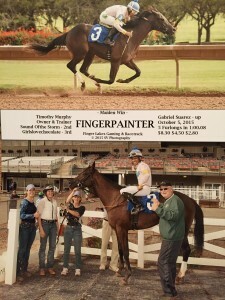 Fingerpainter, the horse, is owned and trained by Timothy Murphy in the Finger Lakes region of New York. She won her first race in October and to really sweeten the story, all of the stable workers and owners wear Fingerpaint hats at the barn. Does it get much better than that? Well, yes. Fingerpainter’s next race is a big stakes race on Friday, November 6, at Finger Lakes Gaming and Racetrack, and she has a good shot at winning! We’re honored to have a thoroughbred among us. Best of luck, Fingerpainter. You know all of us are rooting for you. Jamie Zwirn, a member of the Saratoga office, began her journey with Fingerpaint as a rockstar intern and was hired before she graduated college at Villanova University. She has worked at Fingerpaint for almost two years and has been a part of many different departments including Strategy, Account Service and currently, People and Culture. She is simultaneously pursuing a graduate degree in Applied Nutrition at Sage Colleges to become a registered dietitian.